With branding by GBH (Gregory Bonner Hale) and interiors by Philippe Starck, ‘Miss Kō’ is inspired by the character’s imagined ‘world’. 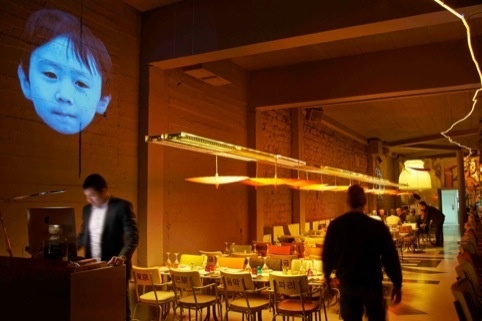 The Asian fusion restaurant opened recently in Paris, is described by GBH as “…the future; a place where cultures collide, fantasy rules and nothing is what it seems – like Blade Runner – only happy”. 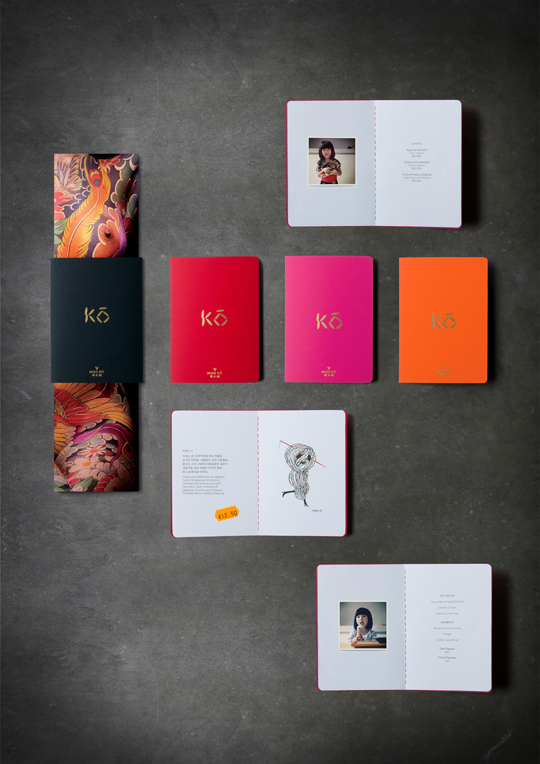 The Miss Kō identity is an eclectic mix of things taken from Miss Kō’s world. The cocktail menu is her private sketchbook, each cocktail is depicted as a crazy Asian character and named after one of Miss Ko’s friends (Ginza Boy, Madame Keiko, Li Mon Li, Crazy MoFo). The dessert menu is a photo album saved from her childhood. Imagery includes Miss Kō’s ‘Yazuka’ full-body tattoo, created by tattoo artist Horikitsune (Alex Kofuu Reinke), and photographed by Uli Webber. Tags: alex kofuu reinke, asian, blade runner, eastern culture, full-body tattoo, GBH, Gregory Bonner Hale, Horikitsune, Miss Kō, Paris, Philippe Starck, Uli Webber, Yazuka. Bookmark the permalink.